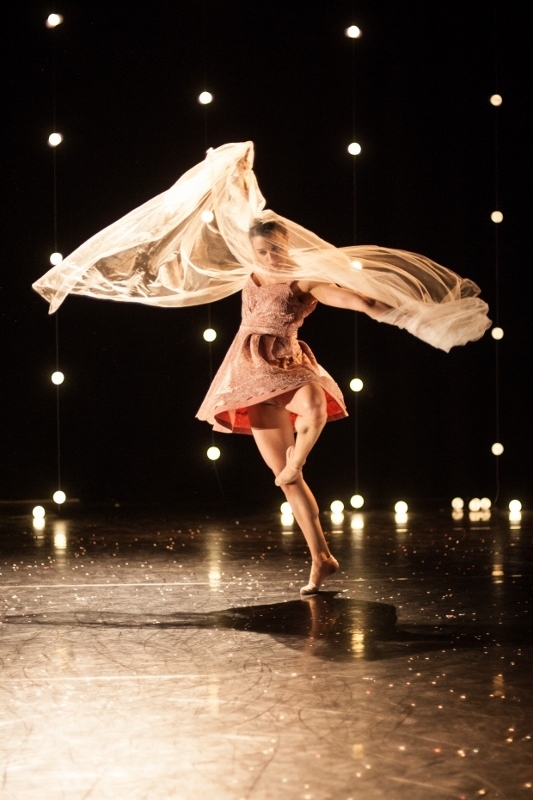 Choreographer Didy Veldman turns the spotlight on modern weddings in her latest work The Knot. With seven dancers taking on the roles of bride, groom, best man and bridesmaids the audience becomes the guests at the wedding celebrations. Didy says: "People are fascinated by the idea of weddings. I think what we are actually looking for is a sense of binding and a sense of ritual but what we've done in our Western culture is that the ritual has disappeared and what has taken its place is the slightly more commercial aspect of marriage and of weddings and wedding parties. They can be all about the stress of it, the seating arrangements, the dress, who do you invite – all of that has become immensely important. I think maybe deep down there is a need to go back to that more basic, even pure element of joining people together." 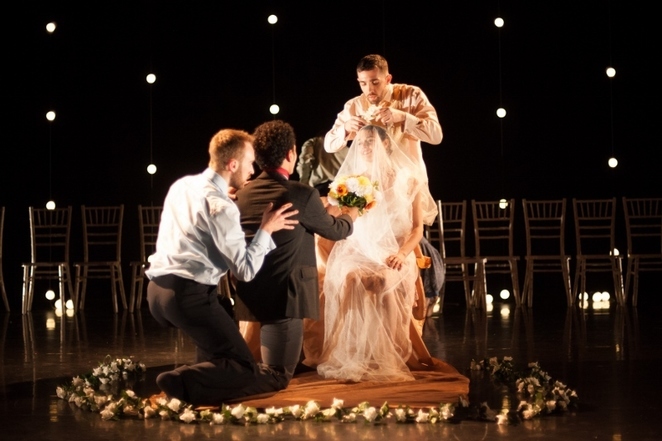 Didy's work, which premiered earlier this year, looks at the idea of the ideal wedding. "Part of it is expectation - there is a dream and an idea of the 'perfect day'," she says. "If you talk to people about getting married it all has to be perfect – the dress has to be perfect, the guest list has to be perfect, even the husband has to be perfect. It's a day that is going to be remembered for the rest of their lives. Not everyone is like that, I'm generalizing of course, but there is often this pressure for it to be the 'perfect day'." Didy formed her own company Umanoove in 2016. Her first work as an independent company, The Happiness Project, was critically acclaimed and with the Knot she was inspired by composer Igor Stravinsky's work Les Noces (The Wedding) but was keen to create a longer piece than Stravinsky's music would alow. In order to provide more base material, she therefore commissioned British composer Ben Foskett to create new music to extend Stravinsky's score. "Les Noces is made up of four different tableaux and I wanted to use those," Didy explains. "Usually it is all played in one go but I received permission to put music between those tableaux. I wanted to honour them but somehow stretch the score. In the conversations that Ben and I had it was clear that neither of us wanted to compete with Stravinsky's music – we wanted to use a similar instrumentation but create more space." And she adds: "I discussed scenes that I wanted to tackle and insert which I didn't feel I could with Stravinsky's layered score and that was how Ben and I were able to work together. He would send me some music for a scene which I had in mind and then I would create a little bit and send it back to him and he would then do a bit more and that was how we constructed and built the piece."